A grand vision to protect thousands more children and families from the trauma of abuse and neglect. The Vanessa Behan Crisis Nursery has embarked on an exciting adventure to triple our impact in the Spokane community, Project Every Kid. It is our intent to open our doors in 2020 and begin to scale our services to meet the growing demand of children and families who need our assistance. In order to grow our impact on children and families, it will take the combined priorities of staff and program development along with a new, perfectly designed facility. 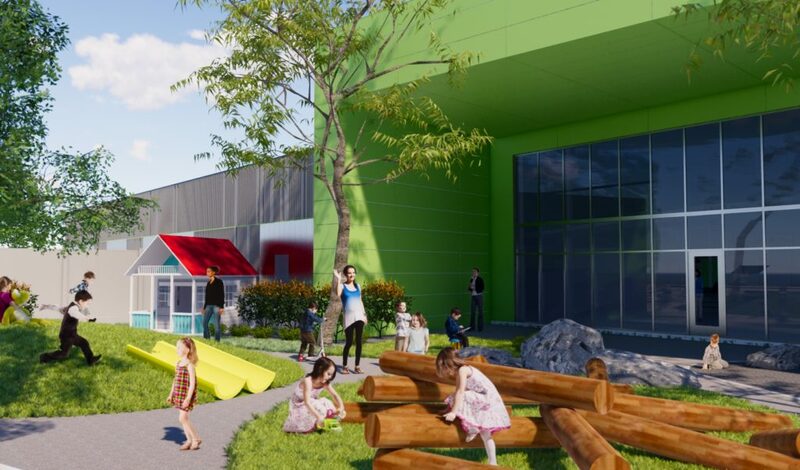 Not only will the Nursery need everyone’s support to make this project a reality, we also continue to rely on the support of the community to keep our facility operational daily. If you’re interested in supporting this project, or want to visit with us to learn more about our vision for child abuse and neglect prevention, call 509-340-0486 or click here. The Vanessa Behan Crisis Nursery has a tremendous impact on our community, but the impact that we could have is limited by our space. We’re serving over 5,000 children per year but turning away 1 in 3 who ask for help because of space constraints. We know there are more families who need help, as we are only reaching 1 in 10 who could really use our services. Project Every Kid is about scaling our programs and services in size and quality to address this tremendous need. The design of the building takes into consideration our desire to be visible in our community while creating a welcoming and safe impression. We are doing this while keeping in mind cost and building requirements. The size is designed to triple the number of children we can serve. This size also includes space for other agencies to provide services and incorporates space for our new programs. Because we strongly believe this is our forever location, we have designed for future expansion as well. We carefully selected this location based on several factors. Our primary focus was visibility and accessibility. It is imperative that families can find us and get to us quickly and easily. This location provides bus service every 15 minutes during an extended part of every day. While there were a few more requirements with this location that will impact our overall budget, we felt strongly that the benefits outweighed the cost and that we will find other ways to mitigate cost concerns. From the beginning of this project, cost has been at the forefront of decisions. 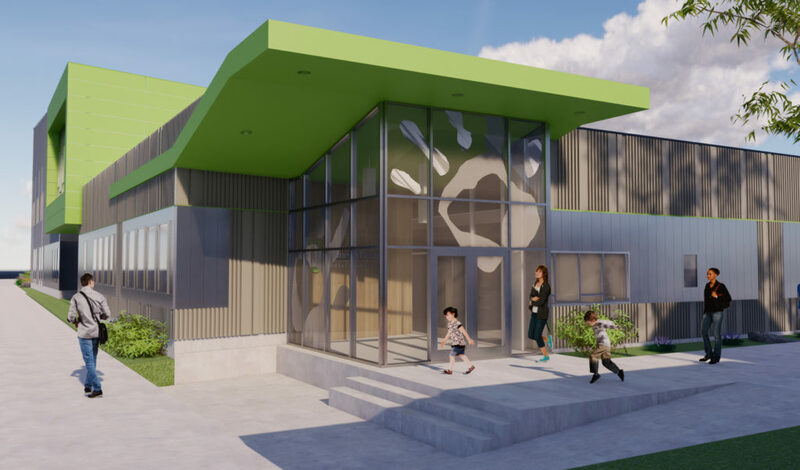 At every turn we consider many factors including the safety of the facility for children and families, longevity of the building with minimal maintenance and replacement issues, ability to expand in the future, and instilling a sense of wonder and excitement for our children. We continue to ask each and every partner to discount and donate as much as possible and we are having very favorable responses. We strongly believe this is our forever home and with that, we want to make sure that our decisions have a healthy balance of value and quality. We are so excited to take our 30 years of experience and expertise and put them to work in designing new programs to focus on some of the root causes of abuse and neglect. In our new space we have created several office spaces to invite other community partners in to provide their services on site while we care for children. This could range from housing assistance, family violence support, parent/child therapy, extended parenting classes and more. Our goal is to alleviate the amount of stress caused to our families by traveling to multiple locations to meet their needs. We will also be experimenting with increased ages served. There is a gap in our community for care to children between ages 7-10 and we will work to provide safety in this age range. Another area we are working to support is parents with medically needy children. Finally, one of our most exciting programs is our drop in; stay, play and learn. Parents can drop in with children and be coached through their child’s challenging behaviors by a parenting coach. As well, they will meet like-minded parents that will decrease an often felt sense of isolation. While it took us over 5-years to find just the perfect location, everything else is moving incredibly fast! The design is complete and construction began in October 2018. The goal is to have all the footings and ground work completed soon to allow crews to continue through our snowy and cold months. If all goes according to plan Bouten will wrap up late in 2019 and we should open to the public by January or February 2020. We would love to visit with you about our vision to help more kids and families, what it’s going to take, and all the ways you can help. Please click here to arrange a time to visit with us. 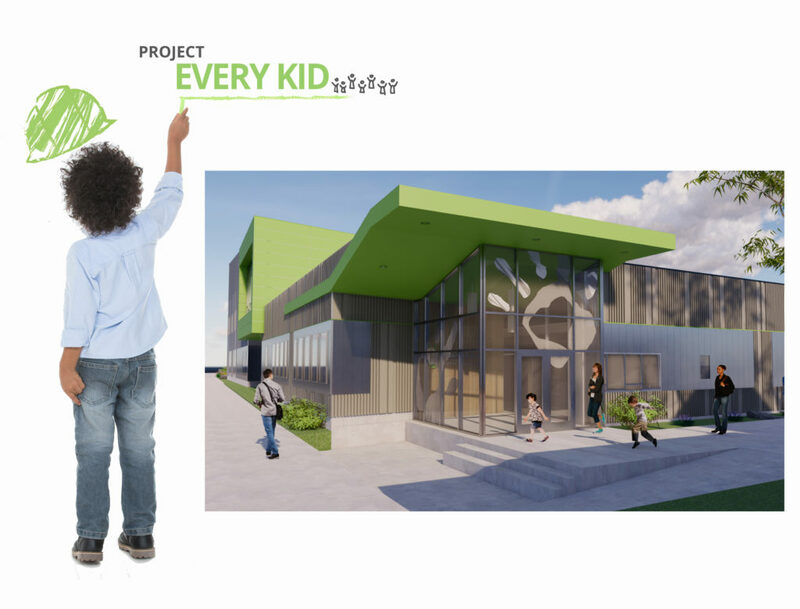 If you would like to make a financial investment in Project Every Kid now, please click here. What is the time frame for completion of the new facility? Construction of the facility began in October 2018. We hope to have the facility completed, and open to the public, by February 2020. We have an aggressive timeline for completion and continue to secure funds for the project as it progresses. Are you concerned about not having a residential feeling at the new facility? We believe that there are other ways to make the Nursery feel warm, inviting and non-judgmental than just being in a residential area. The highest priority of the Nursery’s work is the safety of our kids and families. The new facility will be designed as a safe haven for children to thrive with these issues in mind. What is going to happen to the existing Nursery facility? The existing facility will be kept for now until the new facility is complete. It will either be used for expanded Nursery services or will be sold/leased to support our work. What happened to the building that was on the site of the new Nursery? The building was demolished in March 2018 to make way for construction as City ordinances require any new facility to be built to the street. This will also allow us to better secure an outdoor play yard by protecting it from Sprague with three sides of the facility. How is the new facility going to impact operating expenses? Any time VBCN has the opportunity to serve more children and families, there will always be additional costs. We have operated under the belief that as long as we prove to the community the benefit their investments have on children and families, the revenue to operate the facility will be provided by those who are committed to preventing child abuse and neglect. Are there any safety concerns in relocating the Nursery to that part of town? The safety and security of our kids, families, volunteers and staff is always the highest priority. Our design team will place a strong emphasis on safety inside and out. We’ll be collaborating with security advisors and the Spokane Police Department to ensure top-notch security protocols. We truly believe that our 24-hour presence in the East Spokane area will make the neighborhood, and those who use our services, feel safer. How much did the purchase of the new site cost and where did the funds for the purchase come from? The Nursery spent $1.3 million for the purchase of the property. Since the Nursery has been looking for property for several years, the Board of Trustees has been working on tucking away funds in a responsible way at the end of each year for future growth. With savings, and some gifts from supporters that were specifically for future growth, the Nursery was able to purchase the property with cash. Did the price of the new property weigh-in to your purchase decision? Being completely privately funded, the Nursery is constantly making sure that every dollar spent is put to good use. When the Board of Trustees decided to purchase this property, they prioritized accessibility, visibility and value. Every effort was made to make sure that the money spent on this property is justifiable. We firmly believe that we received a good value for this parcel and this investment in property is what it’s going to take to keep more kids safe.